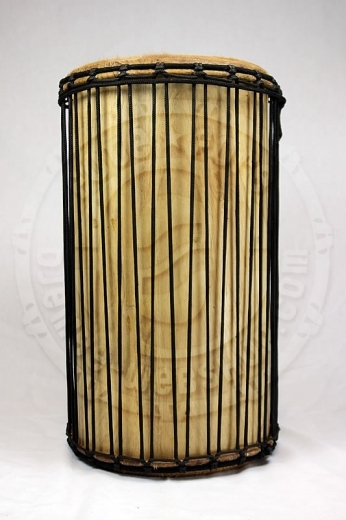 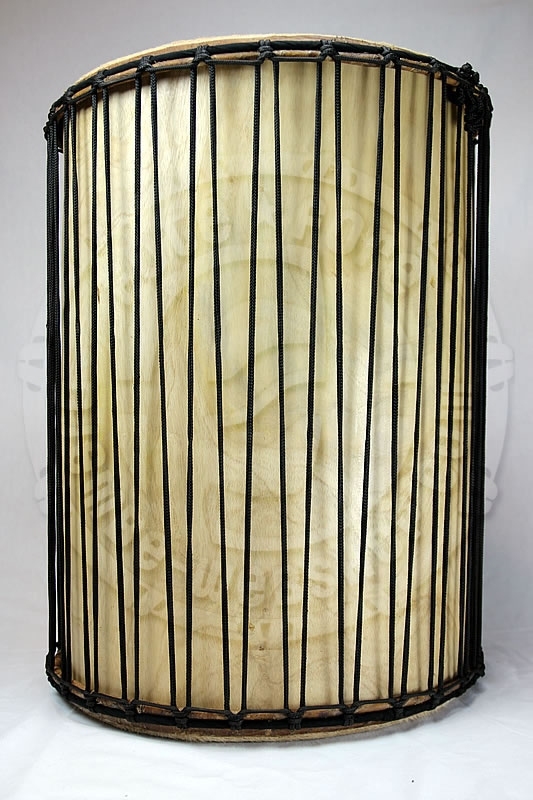 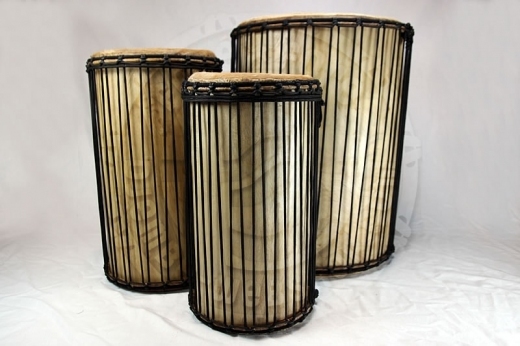 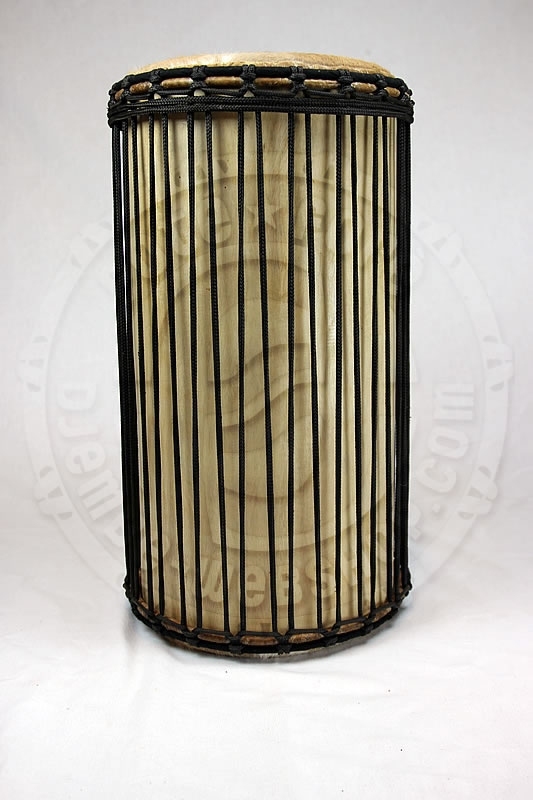 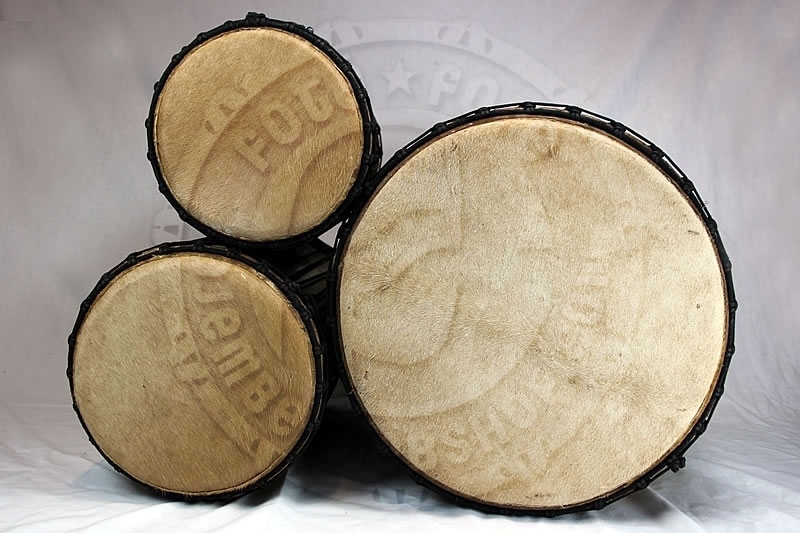 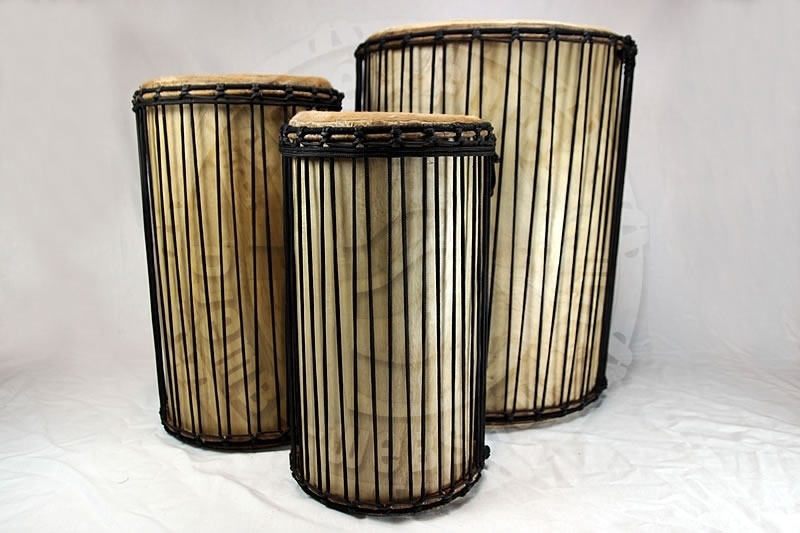 Traditional set of bass drums (dunduns) from Guinea made of melina wood (Gmelina arborea). Used skins are cow skins. 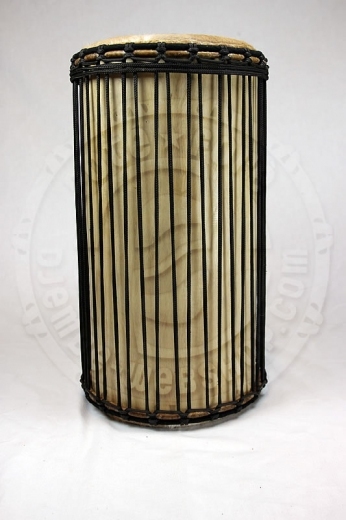 There are plenty of dunduns in stock. 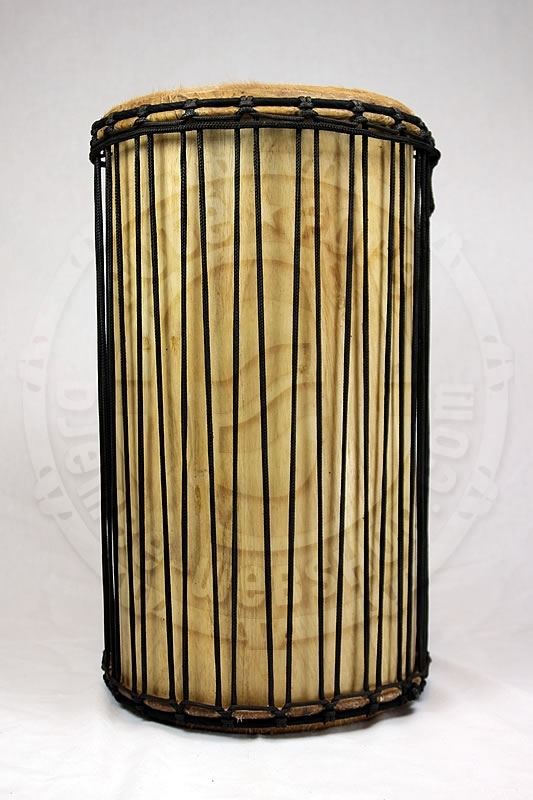 Dimensions, weight and skin/hair color can vary!